Bookcases are usually used against the wall. Some people use it for library property or just a place to save personal books collection. 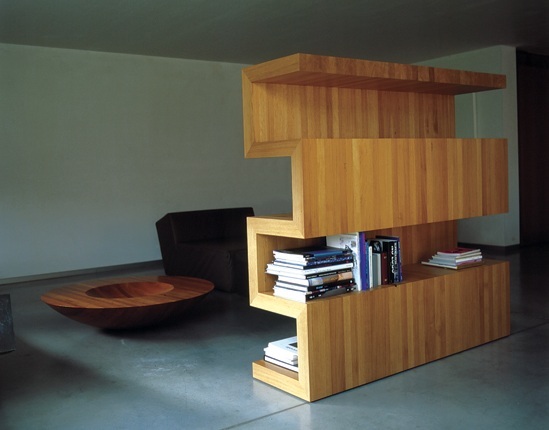 But, have you ever thought that bookcase can help you overcome your problem about the room of the house which you want to divide to some of the other rooms, while your house is too small? 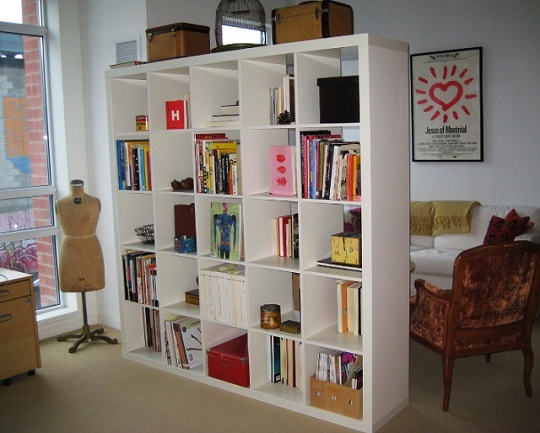 Limiting the room with bookcase room dividers often used by people who want to separate two areas at one room. However, you can put your bookshelf in the middle of the room so that it can divide of two areas that you want to separate. You do not need a permanent wall or additional fabric as a barrier; it is very practical because you only need to shift your bookshelves into the middle of the room. 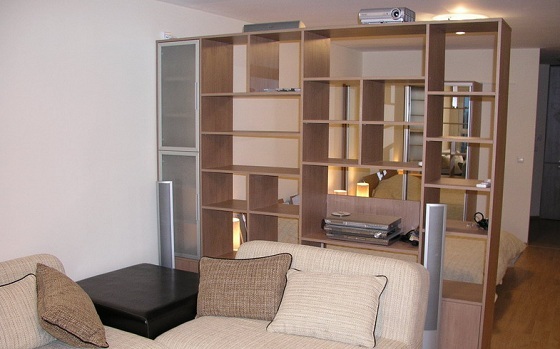 Why Choose Bookcase Room Dividers? 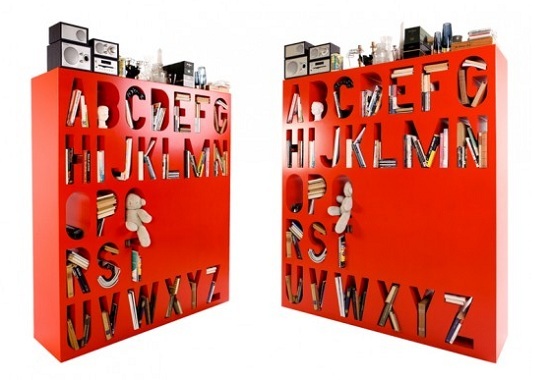 Bookcase room dividers are creative and brilliant idea! You can take them as the tools that have the double duty. You can use the bookcases as their function, that is storing your books, and at the same time they can limit your room, and makes you to easy to take your favorite book when you’re relaxing. Bookcases are usually available on the market with a variety of styles. Some bookcases have only one side, while the other is boarded up. 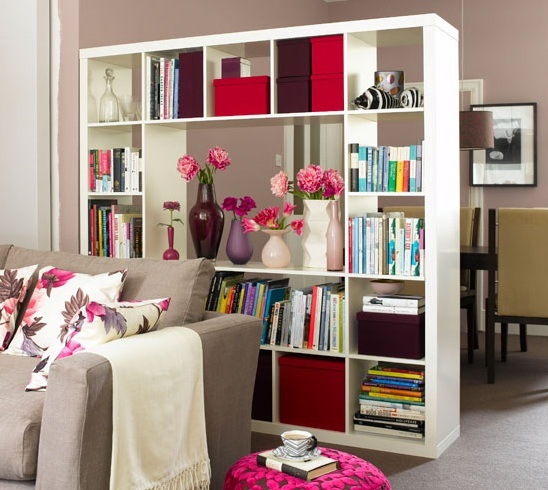 To give a modern look, it might be better if you choose to double-sided bookcase. That’s it, you will be able to take books from both sides, easier. 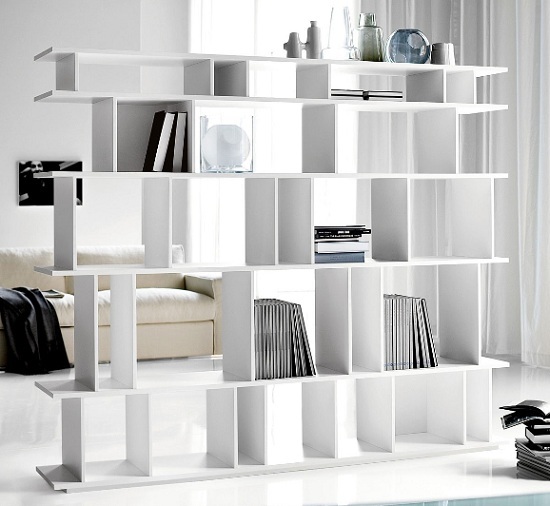 When you feel your bookcase is too high, you can select a half size bookcase as a room dividers. That means the height of your bookcase will not be too high; it’s only half-size one, so you can still keep an eye on another room from where you stand. Are you just going to put your books away on your bookcase room divider? If so, think again! Room dividers generally makes the attention of another person during a visit to your home. Something that mess will not make you happy, right? You should consider many things before using this method. Make sure you collect all the books that you have at home. Choose books that you think good and not good, wisely. Book with a story that does not interest you and you are not likely to read again should you donate to a place. Separate books that have special value for you, or which ones become your favorite. Do not forget the reference books, such as dictionaries, encyclopedias, and books related to your career. You can also add small ornaments to be placed on the top of the shelf. You need to carefully determine the composition of the book on the bookcase. You may want to put books in alphabetical order, but make sure about the books which are thicker: you have to put them on the bottom of the shelf. Do you know why we should do that? Bookcases always have the chance to fall. Thick and big books that are put on top will give greater force and more quickly make your bookcase overturned.